October 30, 2017 | 4 p.m.
Students work on a writable glass wall in the Carlsen Electrical Engineering Design Lab. “Putting science on display” has been a guiding principle behind the complete renovation and expansion of Bethel’s physics and engineering space. Where a meandering hallway in the Academic Center once led to one of Bethel’s largest and most renowned departments, glass walls and doorways now show off new state-of-the-art labs designed to accommodate and celebrate the growing number of students pursuing top-quality STEM degrees at Bethel. The space is home to one of the top 15 undergraduate physics programs in the nation—in terms of the number of graduates—where four National Science Foundation grants have funded cutting-edge research in physics, engineering, and nanotechnology. In fall of 2009, 110 students were pursuing undergraduate degrees in physics or engineering. That number mushroomed to 154 by fall 2016, with even more expected to enroll in the Bachelor of Science in Electrical Engineering (E.E.) program that launched this fall. Reimagining the department’s space is part of a wider initiative aimed at improving Bethel’s reputation and program offerings in STEM- and healthcare-related fields. In addition to the E.E. program, Bethel has also announced new majors in Neuroscience and Mathematics and Data Science this fall. One of the most visible portions of the newest science space is the Carlsen Electrical Engineering Design Lab—named for late Professor of Physics R.A. Carlsen—and the adjacent Modern Physics Lab. Storage has been consolidated to allow more specialized, appealing space for Electrical Engineering; Electronics; Fluids; Nanotechnology, Laser, and Applied Optics (“Nano”); and Atomic Molecular and Optical labs. A new Physics Center is named in honor of University Professor of Physics Emeritus Richard Peterson, who’s been nationally recognized as a champion of the advanced research labs that will take place there. A clean room, machine shop, and more logically-placed faculty offices round out the space. Professor of Physics Nathan Lindquist adds that—in addition to showcasing the department’s culture and accommodating additional, growing majors—expanding core physics capabilities is also key to the renovation. “The ‘NanoLab’ is expanding to include dedicated space for a new Materials and Devices course, more space for our full Optics and Lasers course projects, as well as continuing student-faculty research with a new floating optics table and a nanotechnology ‘scanning probe microscope’ bench,” he says. Lindquist notes the importance of maintaining the unique, multifaceted learning atmosphere within the department. 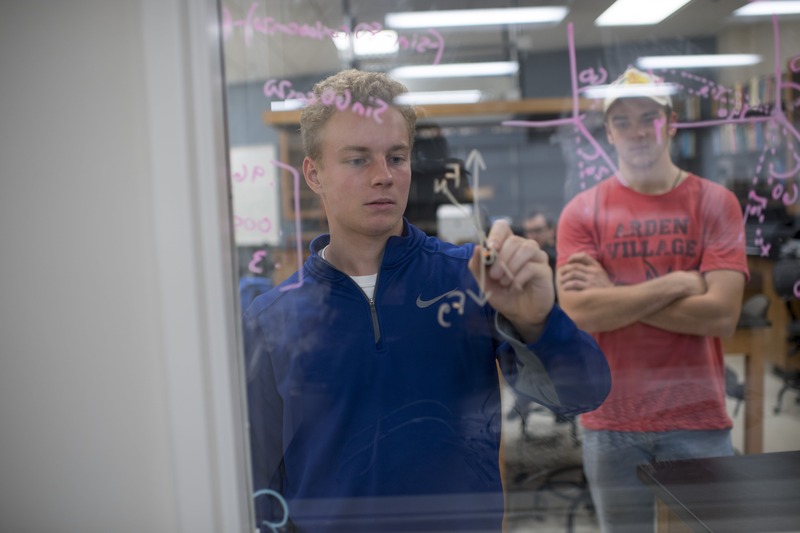 There, students majoring in physics or engineering can have dedicated study space where they can do research alongside peers and faculty members, even outside of class. 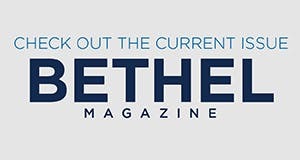 Cross-disciplinary relationship-building and social connections foster even greater research outcomes among the tight-knit department. Take a tour or find out more about physics and engineering programs at Bethel.